Tom turned 60 last month. 60! Nothing has really changed to make him seem older, but just saying 60 sounds like he’s reached a new season. And he has. When I think about the past 5 years so much has changed. Tom owned a small business and was busy managing the day to day operations. All of our children and 4 grandchildren (at the time) lived within 20 minutes of our home. 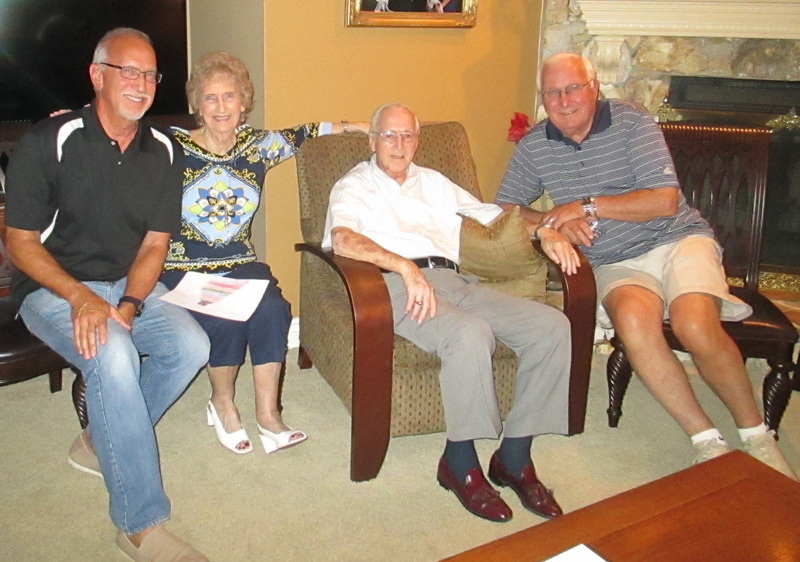 One of our closest friends still called East Orlando home–they now live in Charlotte. My Mom was still alive and involved in my life–helping me research our genealogy as well as my unpublished book. Our son was just finishing up his bachelor’s degree at UCF in English after 9 long years. Both he and our youngest daughter worked for our family-owned business. We sold our business almost 5 years ago–in December. Tom has been “practicing retirement” for 2 years. Our daughter and her family moved to GA and added two more daughters to our growing list of grandchildren whom we adore. Our son and his family moved to TN and added another grandson to our family tree. Our son also graduated with his degree in Creative Writing and landed a job with Dave Ramsey at the Financial Peace University. My book was published based on the life of my grandmother and set in OK Territory. Our youngest daughter went to cosmetology school and got her certification to be a hairstylist. Our church has survived the storm and is now seeing new life and growth for which we have prayed for years. As you can see much has happened that takes my breath away and makes my heart sink a little just writing it all down. But God…The two words that bring comfort to the most challenging of circumstances. So, when my Father-in-law asked me if I was planning a surprise celebration for Tom’s birthday, I honestly hadn’t given it much thought. Life had been too complicated to look ahead two months down the road. He told me he was making plans to fly to Orlando (from his home in San Diego) to be a part of the party. How could I not plan such a surprise? I planned a dessert and coffee at some friend’s home and sent out E-vites to about 60 of Tom’s closest friends and family. I found an idea on Etsy to make 60 envelopes and have those coming write out one memory that they have of Tom and place them each in an envelope. Since Tom is not working, he’s here all the time, pulling off a surprise of this size was daunting and took the help of my daughter and dear friend, which they did wonderfully. We managed to surprise him in many ways. Our kids and grandkids (with the exception of our son who couldn’t take the time off from work) were all here two weeks before his actual birthday, so we decided to do it early. 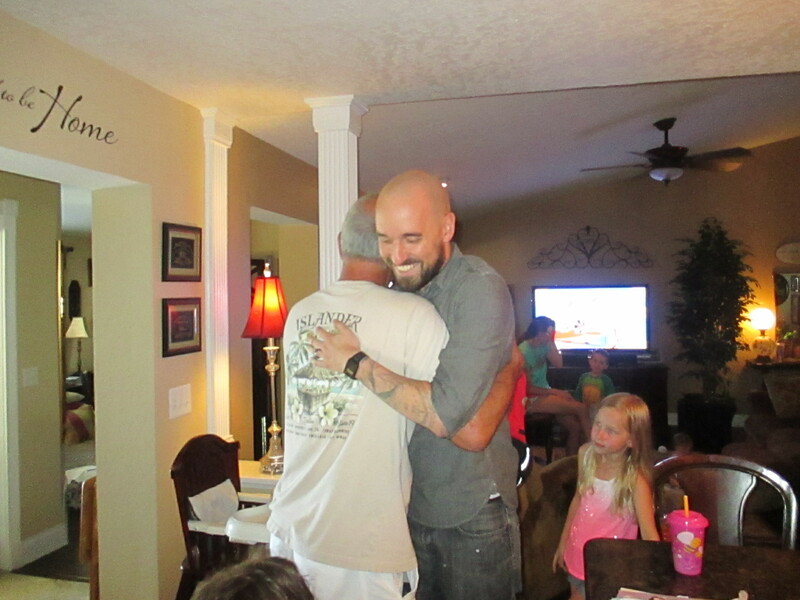 We surprised Tom when our son walked in the day of the party having flown in for the weekend. 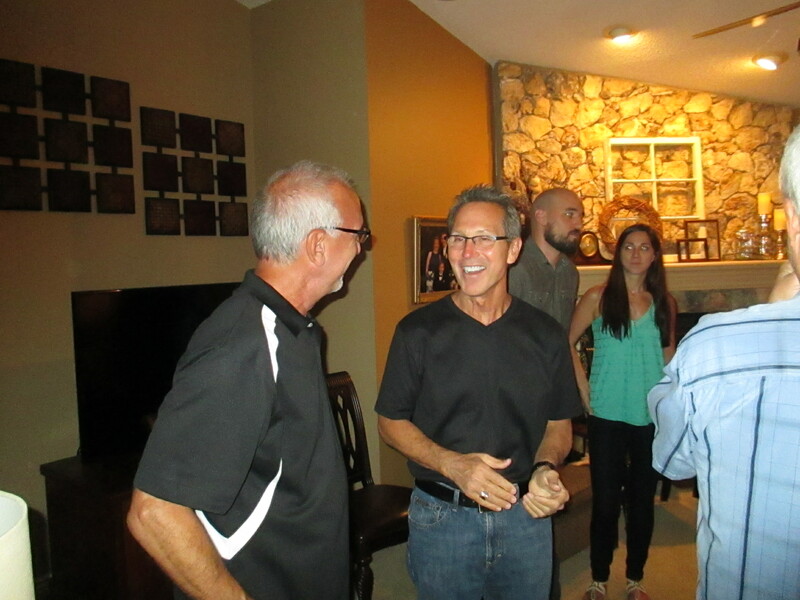 We surprised Tom when one of his best friends who lives in Charlotte walked into the party as if he still lived here. And the biggest surprise of all was when his Dad walked in the door from San Diego along with his Mom and Stepdad. We managed to bless him in ways he will never forget. It was special. 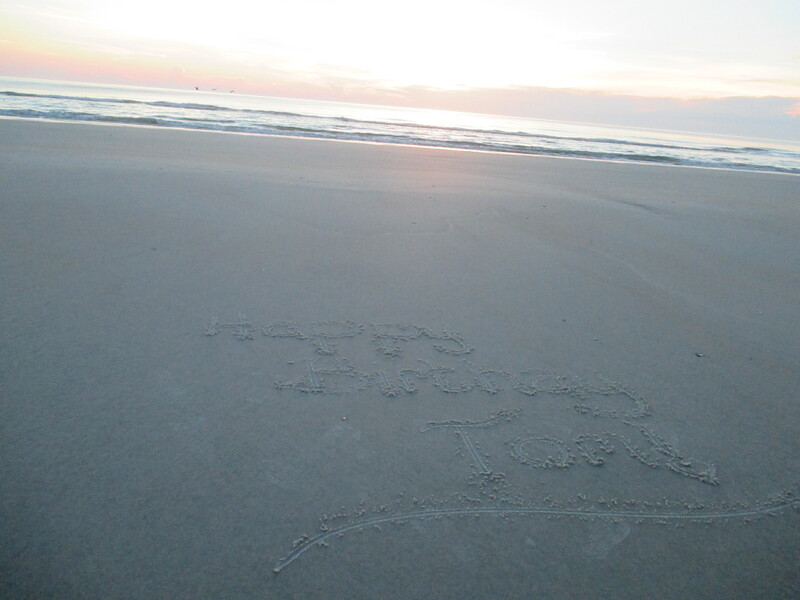 Two weeks later, on his actual birthday, we got up early and drove to the beach in order to see the sunrise. Afterwards we went to a 60’s type diner for breakfast where I gave him the box of 60 memories. He started to read them one by one, and was so affected by the memories and the kind words shared that it took him all day to get through them. 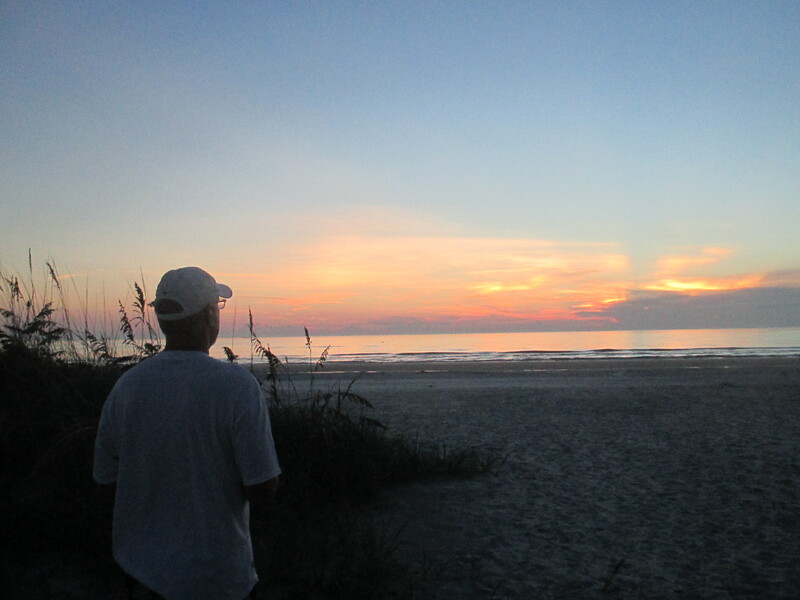 After breakfast we rented a double kayak and took it out on the intracoastal waters of New Smyrna Beach. 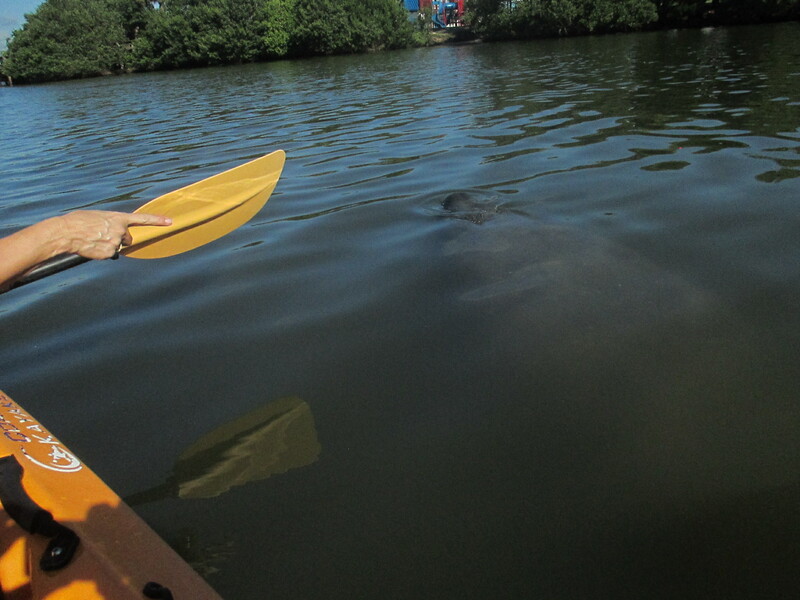 We got to observe manatees and their babies in a little cove nearby. It was a day filled with new experiences and recalling precious times from the past. Tom’s 60th birthday is a landmark year, for his life stands as a sentinel proclaiming the grace of God to all who will listen. And I am privileged to have a front row seat of what God is doing in him and saying through him. 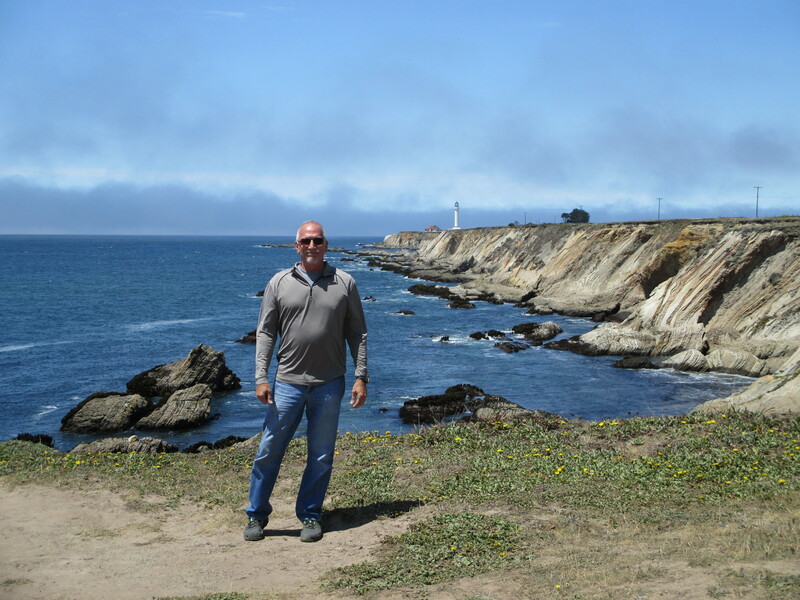 We are blessed beyond measure and are facing unchartered waters as we explore this new decade together–life in the 60’s. In what ways have you celebrated new decades in your spouse’s life or in your marriage? 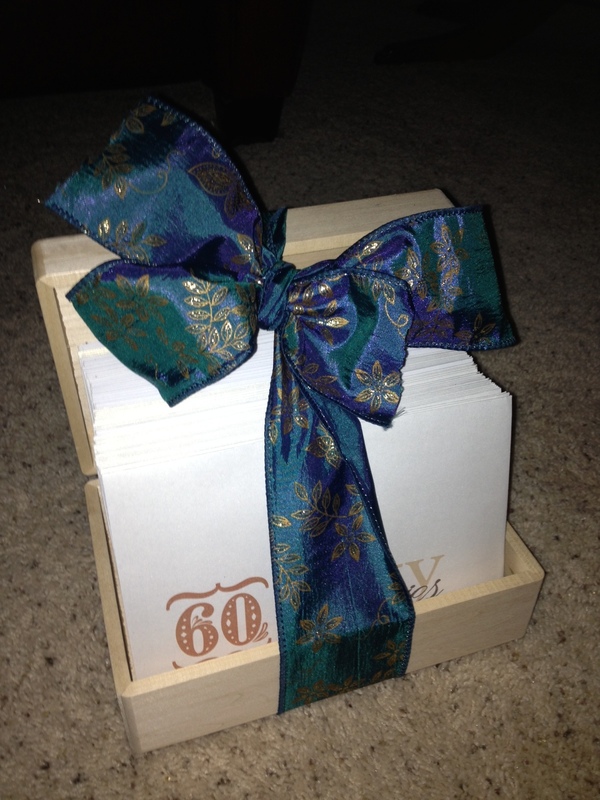 This entry was posted in Aging, Birthdays, Celebration Dates, Celebrations, Christian Marriage, Date Night Ideas, Seasons of Life and tagged Birthdays, Kayaking, Manatees, New Smyrna Beach, Surprise Parties, Turning 60. Bookmark the permalink. What wonderful memories for you both. Congrats on a significant milestone and a happy family! Thanks, Lori. It’s good to hear from you. I pray all is going well in your world. we are also in the ’60’ era and it is good. So glad your party was successful and just what you wanted for Tom. Thanks, Sharon. It was a memory I know he’ll cherish for the rest of his life. Such a fun time. We are blessed beyond measure!